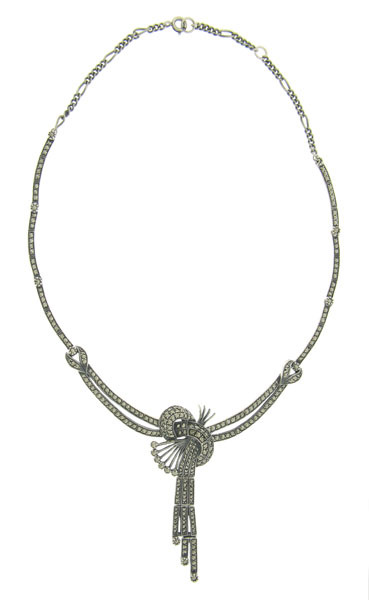 This magnificent necklace features coiling strands of sterling silver frosted with marcasite. The elongated strands link together by a single blossom and continue to single loops where the strands double. They finish in a dramatic waterfall complete with single sprays of glittering marcasite. 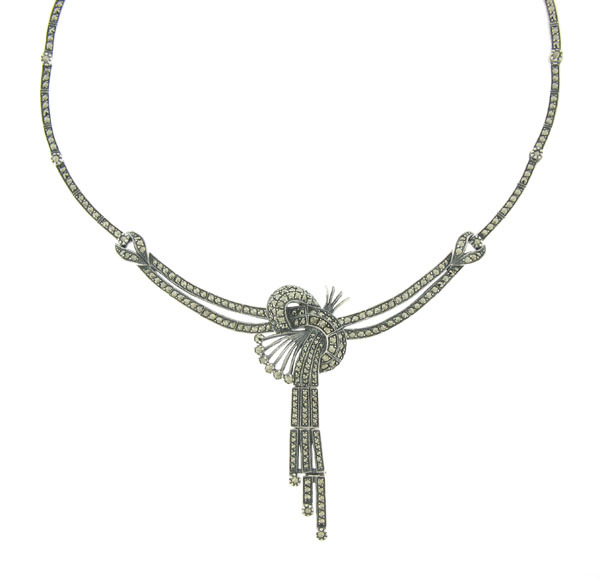 The Art Deco style necklace measures approx. 20" in length, 1" wide at its center.